New exhibit: Bills, Bills, Bills! January is not only cold and snowy, but usually swamped with bills from the previous month’s holiday extravagances. 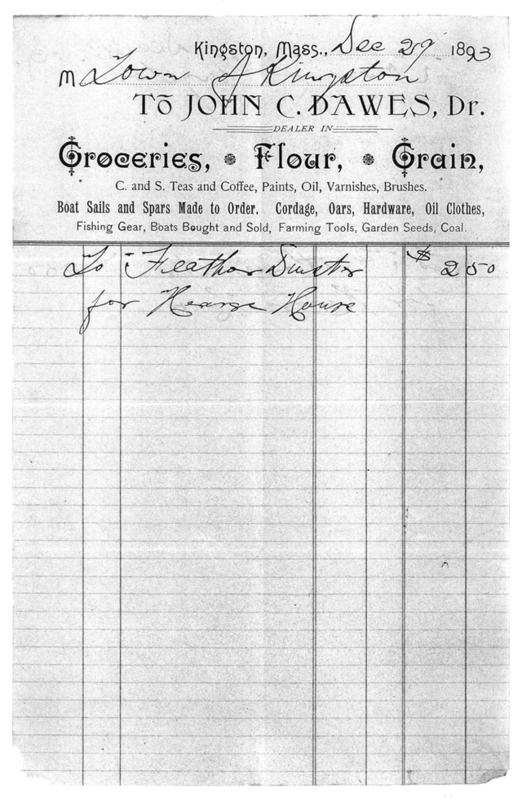 For example, in December of 1893, the Town of Kingston spent $2.50 at John C. Dawe’s establishment. Eschewing groceries and grains, bypassing sails and spars, avoiding coffee and varnish, the Town settled on a single item: a new feather duster for the hearse house. Stop by the Library to see a selection of Kingston bills in the exhibit case.